Retailers that advertise their physical storefronts with Google ads will now be able to show consumers exactly how many items they have available to buy at the nearest location, the search giant announced this week. While the new ad feature is already available in the U.S., U.K., Germany, France, Japan, and Australia, it will also soon be available in Canada, according to Google. Stores that are using Google My Business will be eligible to make use of the inventory display after filling out an online form. 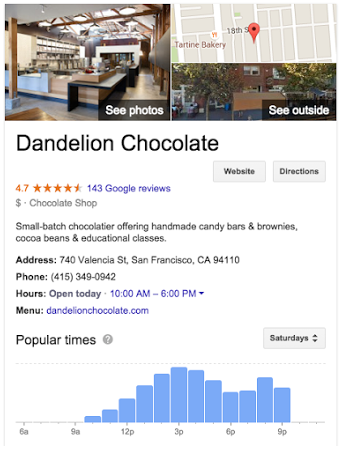 An example of Google ads displaying local inventory. Regionally, Ontario residents use “near me” searches most often, followed by B.C., Alberta, and Manitoba. Businesses taking advantage of the new ad feature will see local inventory numbers displayed in two different places. First of all in the ad and the Google storefront page, and also in the “knowledge panel” that Google users see when they search a specific business name.